Brennan, Claire (2011) Invasive species, 1945-present. In: Nadis, Fred, and Waskey, Jack, (eds.) World History Encyclopedia, Era 9: Promises and Paradoxes, 1945-Present. 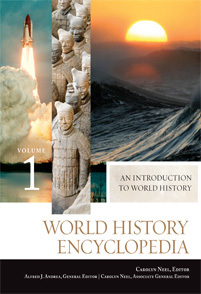 World History Encyclopedia, 14 . ABC-CLIO, Santa Barbara, CA, pp. 41-43. [Extract] Species exchange has always followed humanity's ability to overcome the physical boundaries between ecosystems, but the pace of that exchange has increased substantially with developing globalization. During World War II travel increased between regions of the world, creating pathways for invasive species to follow. Following the war, transport links often remained, and new trade flourished. While some species introduction post-1945 have been accidental, as with seeds and animals caught up in machinery or clothing or traveling unnoticed in soil, other introductions have been deliberate as people seek new plants for their gardens, new species of fish or plants for their aquariums, new crops, or new forms of biological control for established pests. As in previous time periods, the results of the arrival of any particular species cannot be predicted, and the threat of ecosystem invasion by exotic species remains.